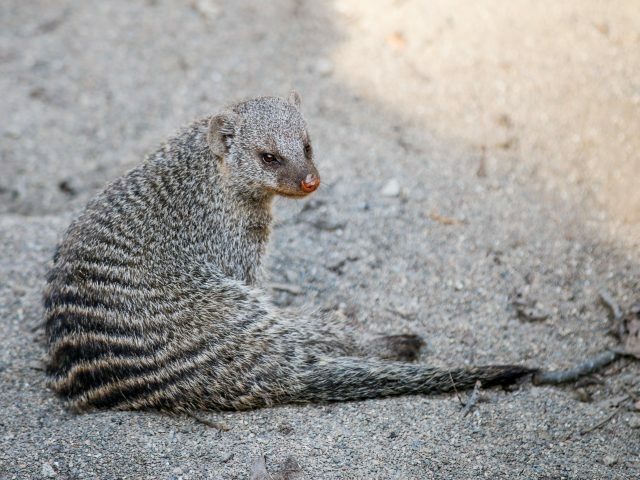 The fur of a banded mongoose is grayish brown and varies from light to dark depending on the geographical region. 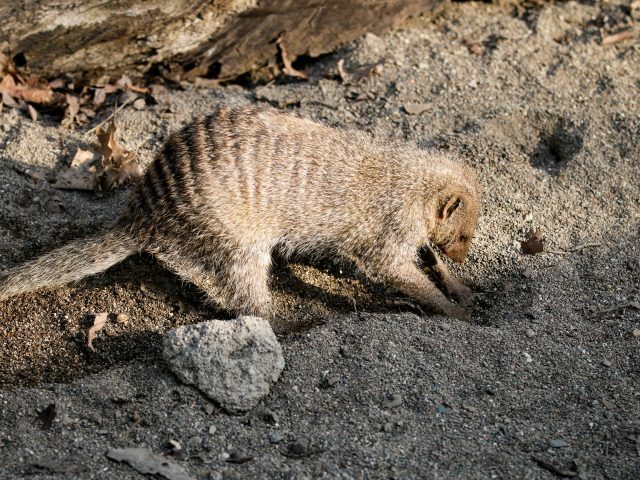 Banded mongoose are characterized by the dark bands across the back, from which they get their name. They have large heads, small ears, short limbs and mighty claws for digging. 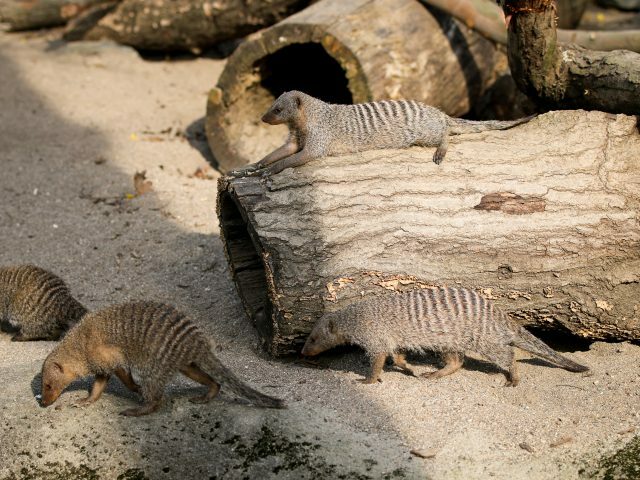 Banded mongoose are social animals, living in an average group size of 20 individuals. Each member of the group cares for he young and elderly with food, protection and grooming. 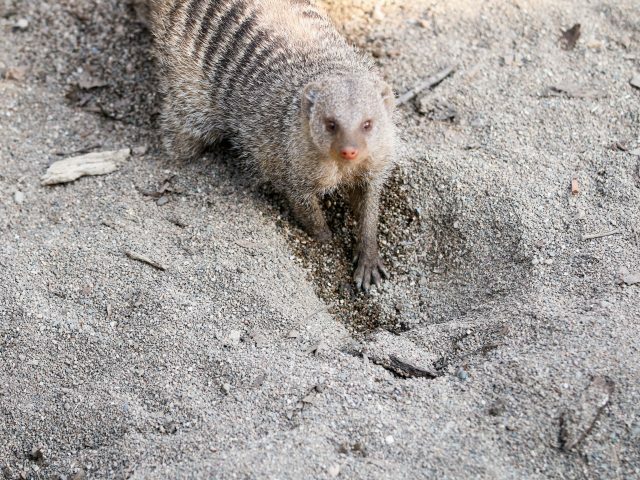 Banded mongoose tend to be nomadic, as they do not stay in a particular den for more than a couple of days. 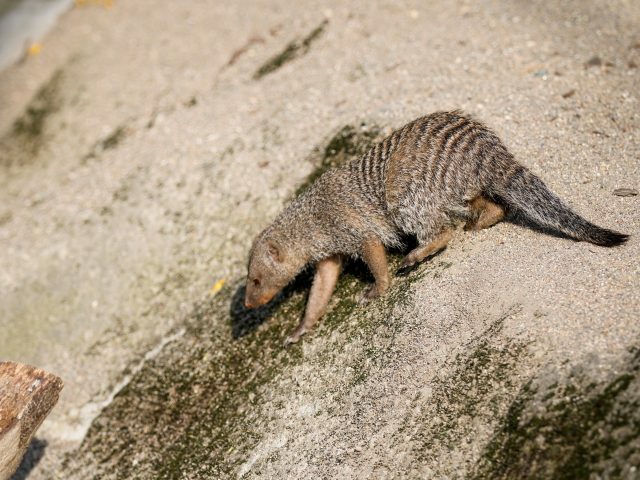 Banded mongoose live in grassland, woodland and savannas across Sub-Saharan Africa. 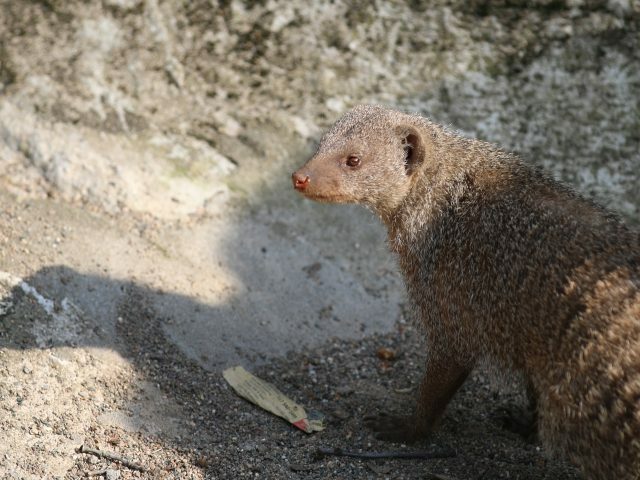 In some areas, banded mongoose have a close relationship with baboons. The two species have been known to forage and play together. Potter Park Zoo is home to nine mongoose – three males and four females. The group arrived from Fort Wayne Zoo in 2013. 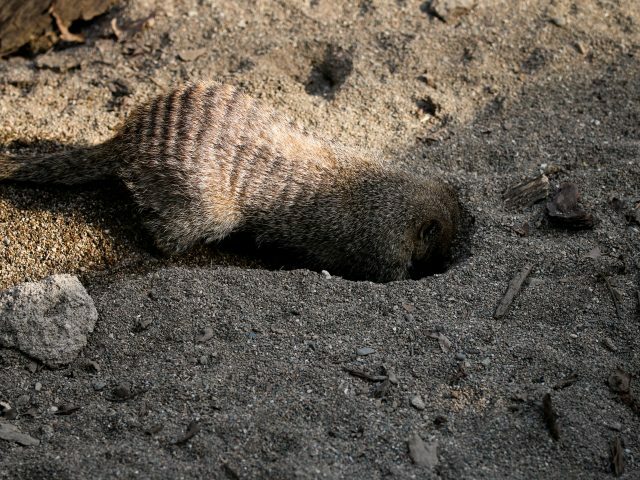 A typical adult banded mongoose stands 12 to 17 inches tall with a tail 6 to 11 inches in length. These mammals weigh between 3.5 and 5 pounds. In their natural habitat they would eat beetles and their larvae, millipedes, earwigs, ants, crickets, termites, spiders, mice, toads, nestling birds, eggs, lizards and snakes. Here at the zoo we feed them a large variety of items including a dry insectivore pellet, specially formulate carnivore meat, crickets, mealworms, earthworms, superworms, mice, eggs, fruits and vegetables.